My name is Dave McNally and I'm a freelancer designer. I was born and still live in a tiny corner of the North West of the UK. I'm a husband, a father and a passionate carp angler. The good news for you, however, is that I'm also very passionate about my work and I love what I do which means it shows in my designs and your visitors will benefit from it! I focus on standards-driven, user friendly sites and I have a soft spot for Wordpress. Enliven Labs is my personal portfolio and it's that personal touch you can be sure of if you hire me for your project. That being the case, what are you waiting for? 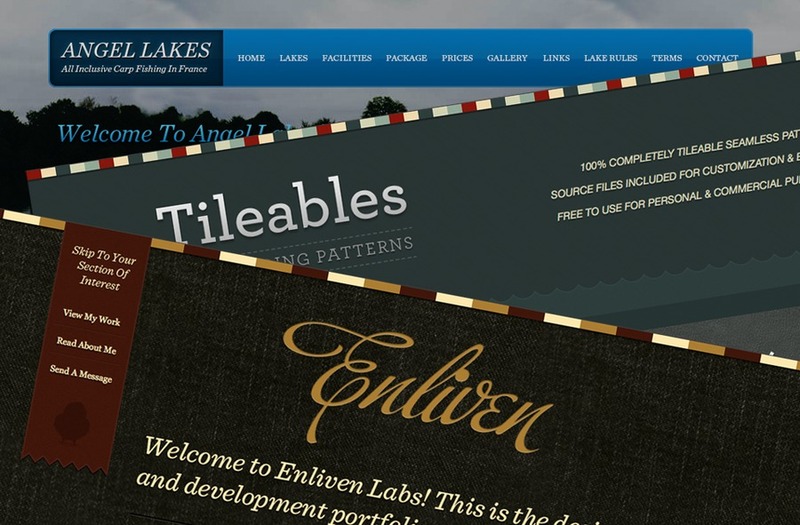 Enliven Labs, Tileables, and Angel Lakes, just a sampling of the fantastic projects by Enliven Labs.